Barrack Obama sure has his job cut out for him... and will take something short of a miracle to really fix the problems that US has. Time will tell if Mr. President Elect is all talk and hype, or he's a man of substance. Good luck!! ps. 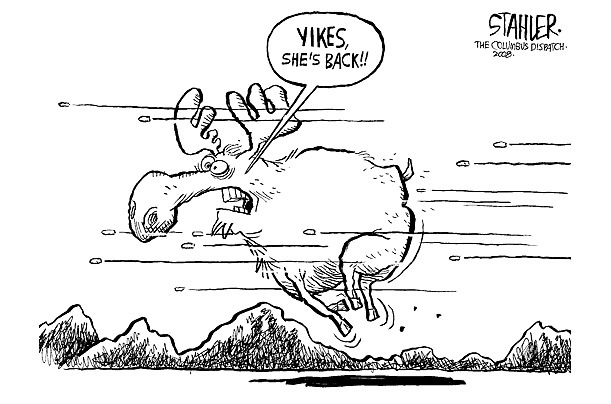 Oh yeah, and the poor critters back in Alaska better watch out... cos She's back!!! 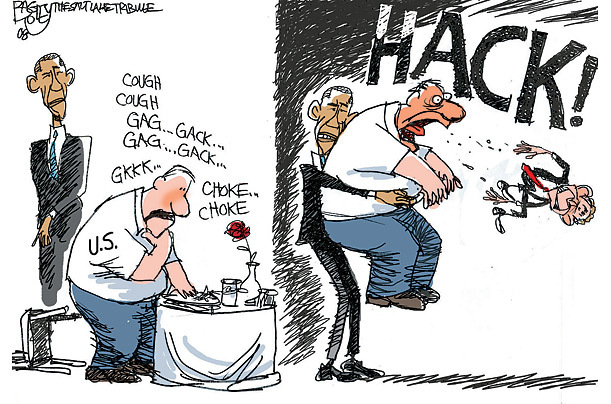 Haha very funny cartoons, especially the Baby Bush coming out of McCain's throat!! Haha Jay, Baby Bush huh, good one! I guess he has been trying to step out of his dad's shadow. Instead, poor George W may end up being known for being the one guy most responsible for handing over the presidency to Obama with such a massive majority! hahaha.. those cartoons are funny!! I like the "leap over building with single bound"! All the best to him! Oh boy! that's hilarious! but about the to-do-list, somehow that's quite true....its a really tough job to be President of America at this moment of time. that was hilarious! but the to-do list has some truth in it. Its really not easy to be America's President at this moment. Yes really funny and now he has been President since 100 days, hard job dont have the right to really to do what you want to do. 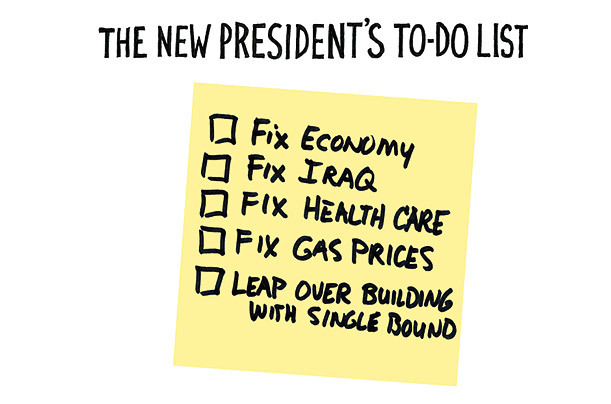 I think it will take a long long time before he will be able to check all the points of the TO DO list.